The new department was formally inaugurated at a programme, held at the annex building of the hospital in the capital on Tuesday. Former adviser and a management committee member of the hospital Zahida Ispahani inaugurated the new facility. The new Outpatients Department (OPD) has been established with the financial support from 'Seeing is Believing' (SiB) programme of the Standard Chartered Bank (SCB), which aims to reduce avoidable blindness across the globe. Chairman of the hospital management committee Mirza Salman Ispahani, Country Chief Executive Officer (CEO) of the SCB in Bangladesh Naser Ezaz Bijoy, CEO of the hospital Mridul Kumar Sarkar, Programme Manager of the SiB Sally Crook and its Advisory Board Member Iraj Ispahani spoke on the occasion, among others. 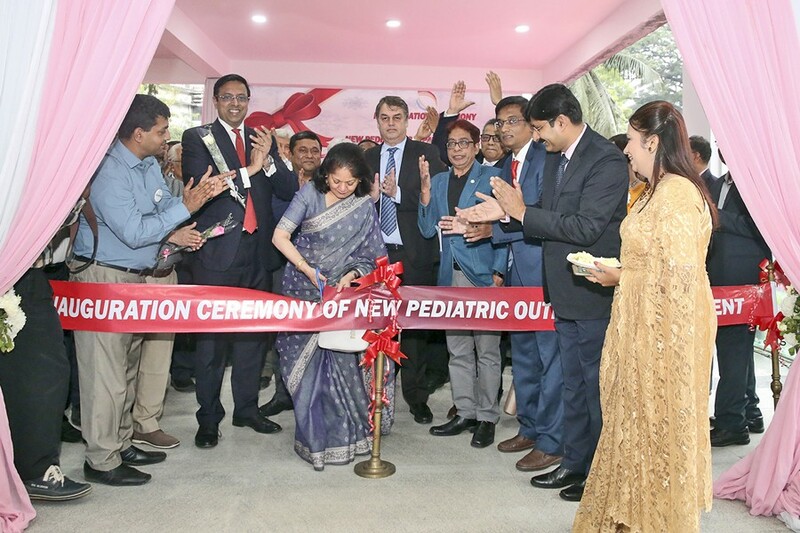 Adviser of the IIEH Nafiseh Ispahani, other members of the Ispahani family, ophthalmologists, fellows and other dignitaries also attended the function. Speaking on the occasion, Mirza Salman Ispahani said the hospital has been playing a vital role in eye treatment with modern facilities at a minimum cost. "Around 4,000 patients get eye treatment from all branches of the hospital per day," he said. The hospital is also operating its branches in Barishal, Jamalpur and Naogaon districts. Mentioning the hospital's achievement, he recollected the memories of his late brother Mirza Ali Behrouze Ispahani, who had been an adviser of the eye hospital. The new OPD has been launched on the day (30th October) marking the 68th birthday of Mr Ali Behrouze Ispahani. Mr Salman Ispahani also said late Ali Behrouze dedicated himself for the various humanitarian efforts like the nonprofit hospital. He also thanked the SiB programme for extending its support. In his speech, Naser Ezaz Bijoy said there are around 0.75 million people suffering from blindness in Bangladesh. "Approximately 80 per cent of them can get rid of the blindness through minor treatment at a minimum cost," he said. Timely treatment can cure most of the avoidable blindness, the country chief of the multinational bank said, adding that the bank's global flagship community programme SiB started from the IIEH in 2003. The new OPD will provide all kinds of eye treatment to the children through specialist ophthalmologists. Established in 1963, the hospital is now the country's oldest, largest and most modern eye care hospital.